The stunning natural beauty of outdoorsy Cape Town makes it easy to while away days exploring the verdant green bay, or poking around the apex of Table Mountain. But you’d be wrong if you thought that the excitement stopped when the sun went down. Cape Town nightlife is as varied and vigorous as you might expect from a cosmopolitan city of over 3.5m, blending big name DJs and fashionable bars with a pulsating music scene. A quick note to the cautious traveler: if you’ve just frozen with fear about your safety after-dark in Cape Town, relax. The vast majority of South African scare-stories you’ll hear are just that: tall tales spread between travelers to kill time at the hostel bar. However, use some common sense: don’t wander aimlessly after dark, even in a large group, and do get used to using licensed taxis to get about. This means that a successful night out may owe less to spontaneity and more to pre-planning: mydestination.com/capetown is a useful site to figure out your route for an evening. Despite all this, don’t let worries make you over-cautious: you’ll miss some brilliant night-time excitement by hiding in your hotel room. Here are some hot recommendations for after-hours fun. The restored entertainment complex of the V&A Waterfront seems to have a magnetic attraction for any tourist visiting Cape Town, so it’s as good a place as any to start a night out. 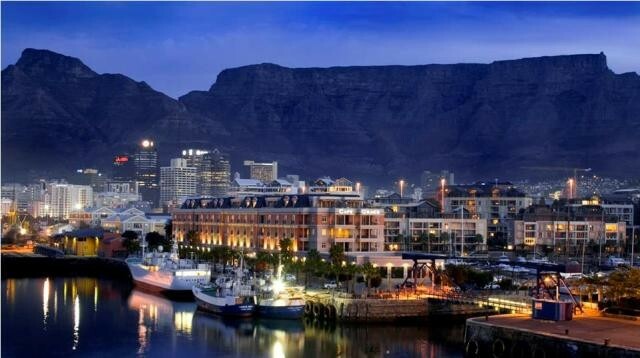 Thanks to the dockside location, the V&A pubs, bars and restaurants enjoy a beautiful view over the Cape Town bay, or back towards lofty Table Mountain. Bascule’s, on the edge of the yacht marina, offers a picturesque vista to accompany beers, cocktails, or even one of its 400 specialty whiskies. South Africa is, by head and shoulders, the most tolerant country in Africa when it comes to homosexuality – gay rights are even written into the constitution. Resultantly, the gay scene in Cape Town is riotous, with most bars, clubs and cafes being centered in De Waterkant. There’s an array of venues to suit most gay tastes, from the commercial to the downright dirty, but the drag-queen cabaret-spot of Bubbles Bar is a current favorite of gays and straights alike. Whereas other cities are renowned for their dark-and-dirty clubbing (think Berlin), Cape Town nightspots are a more Parisian affair of refined style, exclusive door policies, and blingy VIP areas. Fez Club, probably one of Cape Town’s most popular, is a chic, Moroccan themed joint, filled with warm drapes and meshwork lanterns. It has a weekly residency by Hed Kandi, and regularly welcomes international DJs to its decks. If you’re serious about your music, but your idea of a nightmare night out is anywhere with a ‘no t-shirts, no trainers’ dress code, then The Assembly may come to your clubbing salvation. Unusually, it’s a venue run by people who really love music, and the pared-down industrial decor hosts cross-genre DJ mashups as well as live gigs and acoustic performances, often all crammed into the same Saturday night. It’s highly recommended. 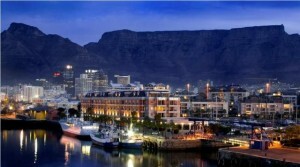 Cape Town looks like an amazing place, and I’ve always heard good things about it. Plus it’s a big time shark destination which is right up my alley. Don’t know if I could handle the party scene… but I’d be willing to try.